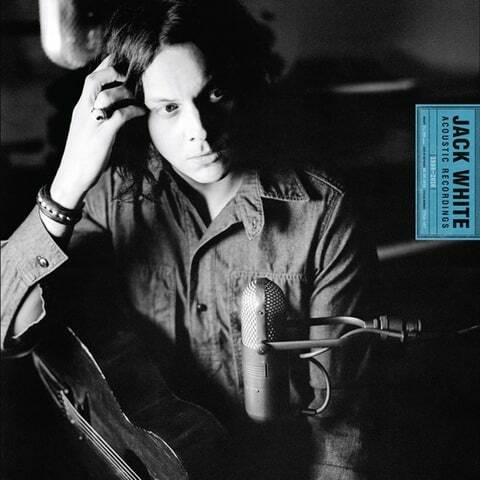 The 26 songs on this collection – album tracks, B-sides and previously unreleaseds from the White Stripes and Jack White&apos;s solo career – celebrate a moment before music was claimed by genre, when sounds were still taking shape and rules had yet to be written. They slip from blues to country to gospel to Sixties rock and back in a blink, exchanging spontaneity and craft so effortlessly there&apos;s no discernible difference between the two. A newly available White Stripes track (the first since 2008), "City Lights," starts off with a circular acoustic riff sprung from a back-country road. It revolves in concentric circles that take in psychedelia, the Delta, wizard rock and indie minimalism before quietly fading away. An acoustic version of "Just One Drink" from the vinyl edition of Lazaretto (where it&apos;s merged with the electric take) opens with sawing country fiddle and rhythm guitar that echo Buddy Holly&apos;s "Peggy Sue" before barroom piano tips things into the honky-tonk Upside Down. White&apos;s definition of acoustic includes pedal steel and pretty much everything except punk guitar. You may miss the electric buzz blowing the melancholy away, but this foot stomping music does the job.